Huge Savings Item! Save 15% on the Q Power GMC12 DF Q Power GMC 12'' Down Firing 1999-2006 by Q Power at Right Clearing. MPN: GMC12 DF. Hurry! Limited time offer. Offer valid only while supplies last. 2hole 12'' for GMC/Chevy 1999-2006 Xcab. Xcab Only, Does NOT fit Crew Cab. 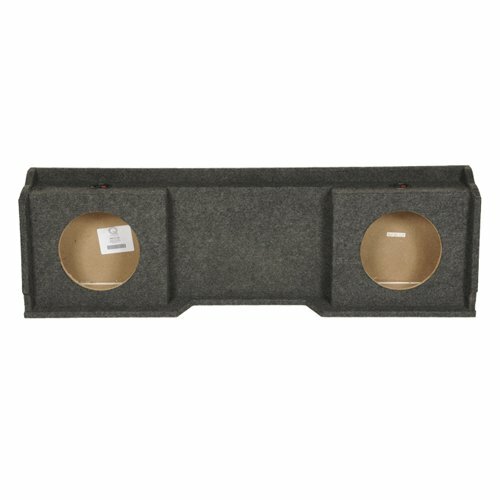 Over boxed 12'' Down firing 1996-2006 GMC-Chevy 4 Door XCab Unloaded Box. 2hole 12" for GMC/Chevy 1999-2006 Xcab. Xcab Only, Does NOT fit Crew Cab. Over boxed 12" Down firing 1996-2006 GMC-Chevy 4 Door XCab Unloaded Box. Under seat Down fire Air Space: 0.95 Cubic Feet (per sub)Mounting Depth: 5.5"